국제 신인류 문화학회 한강현 부회장은 마시모 세계신종교연구소장이 세계종교프로젝트(World Religions And Spiritualities Project)에 승리제단 논문을 작성해서 올렸다는 소식을 전해왔다. 10월 20일 제단을 탐방하여 예배에 직접 참석한 마시모 소장은 승리제단의 구세주 조희성님과 승리제단의 교리 및 종교적 박해 및 성지 밀실 등에 대하여 직접 조사한 후 본 본문을 작성하였다. 그는 승리제단의 설립연혁과 구세주 조희성님이 전도관 박태선 장로님이 꿈에 영적 안찰로 귀가 나은 후 박 장로의 전도관에 입문하여 전도사로 역할하였고, 홍업비 해와이긴자를 통해 구세주 하나님으로 인정되었다는 내용을 기록하였다. 그는 승리제단의 교리는 예수를 구세주가 아니라 사탄의 아들이라고 하였다. 또한 김영삼 정부시절 기독교인들과 검찰이 조희성님을 구속한 후 헌금사기죄로 처벌하여 약 7년 옥고를 치르고, 2013년 재차 살인교사죄로 구속되어 무죄가 된 후 보광한 것도 기록하였다. 승리제단은 조희성 구세주의 구속과 사망으로 교세가 많이 기울었으며, 초기 불교처럼 자유율법을 지키지 않으면 죽을 수밖에 없다고 한다고 주장하였다. 아래 주소로 들어가시면 기사 원본을 볼 수가 있다. 아래는 마시모 회장이 올린 기사 내용이다. As mentioned before, the World Religion and Spirituality Project is the most authoritative academic encyclopedia in the world. Based on this we would be able to proceed with Wikipedia and Mr Price will write to you about it. 1931 (August 12): Cho Hee-Seung was born in Kimpo, Gyeonggi Province, Korea. 1950: In the first month of the Korean war, Cho was captured by the North Korean army and interned in a concentration camp. 1953: Freed from the concentration camp, Cho enlisted in the South Korean army, At the end of the war, he explored Methodist and Presbyterian churches before being healed in a dream from his ear problems by Olive Tree’s founder Park Tae-Seon and joining the Olive Tree movement. 1960s-1970s: Cho operated as a successful missionary for the Olive Tree movement, founding several churches throughout South Korea. 1980: Cho undertook a long retreat in the “Secret Chamber” with Hong Eup-Bi, a woman member of the Olive Tree, in the Olive Tree’s Faith Village near Bucheon, South Korea. 1980 (October 15): Hong declared Cho the Victor Christ and God. 1981 (August 18): Cho founded the Victory Altar in Bucheon. 1984: Nine Victory Altars were established throughout Korea. 1986: Victory Altars were established in the United States and Japan. 1991 (August 12): The Victory Altar’s new worship services were inaugurated at the Bucheon headquarters. 1994 (January 10): Cho was arrested on charges of fraud. He eventually spent more than six years in jail. 2000 (August 15): Cho was freed on parole. 2003 (August 14): Cho was charged with instigating the murders of six opponents and arrested again. 2004: Cho was sentenced to the death penalty in first degree but acquitted on appeal on May 24. The prosecutor further appealed to the Supreme Court. 2004 (June 19): Cho died, before the Supreme Court trial took place. Late 2000s: After Cho’s prosecution and death, membership in the Victory Altar declined from 400,000 to circa 100,000. Cho Hee-Seung [Image at right] was born on August 12, 1931 in Kimpo, in the Korean province of Gyeonggi. He was a Christian student when the Korean War erupted in 1950. At age nineteen, he was arrested by the Red Army and repeatedly risked being killed, both in North Korean detention camps and in the prison camps of the United Nations in Geoje Island, in the southeast of Korea, when riots erupted. He was freed shortly before the end of the war, in which he participated in 1953, earning the rank of Second Lieutenant in the South Korean army. In the meantime, he continued his exploration of Christian churches, attending services in Methodist and Presbyterian communities. Cho was suffering from a severe ear disease, and reported having been healed in a dream by Park Tae-Seon (1915-1990), the founder of the Olive Tree movement, one of the most successful neo-Christian new religions in Korea in the years immediately following the Korean War. Park left the Presbyterian Church and founded his movement in 1955, quickly gathering an estimated 1,500,000 followers and establishing three communal Faith Villages in Korea. 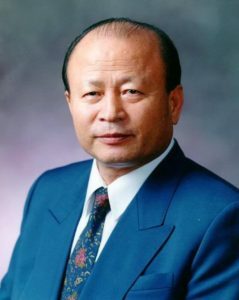 Although repeatedly arrested and tried for fraud, Park, was regarded by some of his followers as God incarnated on Earth, After his miraculous healing, Cho joined the Olive Tree and operated for several years as a missionary, founding several churches throughout South Korea. In 1980, Cho undertook a long retreat in one of Park’s Faith Villages, located near Bucheon, South Korea, in the “Secret Chamber” (MilSil), i.e. in the home of Hong Eup-Bi, a woman who had acquired a strong but controversial reputation as a healer or shaman in the Olive Tree. According to Cho, at the end of the retreat, on October 15, 1980, Hong proclaimed him the Victor Christ and God incarnated. Hong also persuaded Cho that he no longer needed her, nor the Olive Tree, and on August 18, 1981, he founded his own new religion, the Victory Altar (SeungNiJeDan), in Bucheon. South Korea, with foreign branches established in the United States, Japan, United Kingdom, Australia, and New Zealand, all under the supervision of the headquarters in Bucheon. [Image at right] Cho, however, also attracted the hostile attention of the active Korean anti-cult movement and of mainline Christian churches, which regarded his teachings as heretical. Some of Cho’s opponents had ties with South Korean President, Kim Young-Sam (1927-2015), himself a Presbyterian Christian. According to the Victory Altar, these ties played a role both in the hostile media campaigns and in the judicial prosecution of Cho. On January 10, 1994, Cho was arrested on charges of fraud. 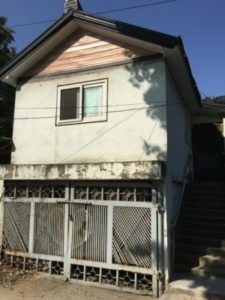 He remained in jail waiting for trial, and was also accused of having instigated the homicides of several anti-cultists, who were killed in Korea in the early 1990s. In 1996, he was found not guilty of the homicides but guilty of fraud. Having served more than six years in jail, he was freed on parole on August 15, 2000. However, on August 14, 2003, Cho was arrested again, after the prosecutor claimed that those responsible for the murders of six anti-cultists had again identified him as the instigator. In 2004, Cho was first sentenced to the death penalty in the first degree, then found not guilty on appeal. The prosecutor appealed the second verdict to the Supreme Court of Korea. Before the latter could render its verdict, however, Cho died on June 19, 2004. Since many followers regarded Cho as immortal, his death, which followed his prosecution and imprisonment, determined a crisis in the movement. At its peak, the Victory Altar in the early 1990s had some 400,000 followers. No more than 100,000 remain, part of some forty Victory Altars in Korea, while most foreign Altars no longer exist. A few survive in Japan, while congregations still meet in private homes in the U.S., Australia, New Zealand, and U.K. The Victory Altar regards itself as a “new Christian religion,” although it identifies the Christ with Cho Hee-Seung and believes that Jesus of Nazareth was a false prophet. His sacred history starts with an original Trinity composed of God, Adam, and Eve. All three of them were Gods, but they were not omnipotent. Satan “invaded” and captured Adam and Eve and converted them from immortal to mortal, although they and their descendants also maintained a spark of divinity and of the blood of God. The “forbidden fruit” was Satan himself rather than an apple (Lee 2000:20). God had not been captured by Satan, but has proved his non-omnipotence. He had to embark into a long journey to restore the promise of immortality to human beings. God’s original promise was announced in the prophetic books of both Christianity and Buddhism, and in the ancient scriptures of Korea (Han 2016). God also caused the appearances of a succession of divine prophets: Noah, Abraham, Isaac, Jacob, and Dan (Headquarters of SeungNiJeDan 2017:11). The Victory Altar regards Dan as the legitimate successor of Jacob (citing Genesis 49:16), and shares with other movements an interest in the destiny of his lost tribe. Unlike others, however, the Victory Altar maintains that the tribe of Dan migrated to Korea, as evidenced by the name of the first mythical Korean king, Dan-gun (where the honorific suffix “gun” means “king,” so that his name was really Dan), and by archeological findings believed to confirm the similarities between ancient Koreans and Israelites (Han 2016). The last divine prophets in this line were Park Tae-Seon, the founder of the Olive Tree, and Hong Eup-Bi. Abraham, Isaac, Jacob, Dan, Park, Hong and Cho are the part of a sequence of seven “angels.” Park was also part of another group of four “angels,” announcing the modern prophetic role of Korea, with Cho himself, Choi Je-Wu (1824-1864), who founded the earliest Korean new religion, Donghak, and Kang Jeungsan (1871-1909), regarded as God by a large family of Korean new religions (Headquarters of SeungNiJeDan 2017:12), the largest of which is Daesoon Jinrihoe. The fact that such figures have a place in Victory Altar’s pantheon explains the dialogue and friendly relationship it maintains with other Korean new religions. overcame the blood of Satan in himself, i.e. his ego, and became the Victor Christ through which God, finally capable of defeating Satan, returned to Earth (Kwon 1992:120-21; see Kim 2013). [Image at right] The promise of God realized through the coming of the Victor Christ, Cho, had nothing to do with a salvation in a spiritual world. This notion, together with the separation between a mortal body and a soul that would go to Heaven and Hell, was a false teaching disseminated by Jesus Christ, who was a false prophet and “the only son of Satan” (Kwon 1992:96). The Victory Altar believes that Jesus of Nazareth (as maintained by second-century, anti-Christian philosopher Celsus) was the son of Mary and a Roman soldier named Pantera (who might have raped her) and that he married Mary Magdalene, a woman of ill repute (Kwon 1992:98-101). The Altar actively propagates the Korean version of the British best-selling book The Holy Blood and the Holy Grail (retitled in the American edition Holy Blood, Holy Grail) (Kwon 1992:100), published in 1982 by Michael Baigent (1948-2013), Richard Leigh (1943-2007), and Henry Lincoln (Baigent, Leigh and Lincoln 1982), which was the basis for Dan Brown’s 2003 novel The Da Vinci Code and first popularized the idea that Jesus was married to Mary Magdalene. Holy Dew, which emanated from his body and even from his portraits when he was not physically present in the shape of smoke, blood, fog, or fire, and nourished his followers [Image at right]. It has precedents in the Bible as well as in Buddhism and in Chinese and Korean traditional scriptures. It was photographed, and the Victory Altar obtained expert reports to the effect that the pictures had not been altered (Lee 2000:89-97). Cho had to depose his body and take a new one because of the malice of his opponents, as he knew that the Supreme Court would have found against him, but he remains present and alive and continues guiding the Victory Altar, where the Holy Dew continues periodically to appear. To become physically immortal, it is not enough to believe in Cho’s divine mission or to be a member of the Victory Altar. That belief alone can save is just another Christian misconception. To purify one’s blood and cleanse it from the heritage of Satan, the Law of Liberty should be practiced. It implies overcoming perfectly the ego and desire, identifying with fellow human beings as one, and believing firmly in immortality. By practicing the Law of Liberty, members of the Victory of Altar believe that at least some of them will not die, a possibility only existing on Earth after the coming of God as the Victor Christ. Christ, although he died in 2004. He appears on a screen and leads the congregation in singing, preaches, asks questions. [Image at right] On special occasions, the Holy Dew appears and confirms his divine nature and mission. Services are offered daily (at the headquarters, five times every day, to accommodate the different work schedules of the members), and consist of songs and short sermons by the Victor Christ, offered through videos. The Victory Altar also celebrates five yearly feasts. The main is the Victory Day, October 15, which commemorates the day in 1980 when Cho defeated his ego and realized that he was God, the Victor Christ. Christmas is celebrated on August 12, Cho’s birthday, but December 25 is also celebrated as Messiah Day, honoring the messianic prophecies of various traditions and religions, while reaffirming that they were accomplished through Cho. The Holy Dew Spirit Day is celebrated on January 1. The Parent Day, on May 8, celebrates the spiritual mother of all humans (Headquarters of SeungNiJeDan 2017:36-37). The leader of the Victory Altar is the Victor Christ, Cho, who is believed to be alive and in full charge of the movement, although with the different body he assumed on June 19, 2004. A president oversees the daily administrative affairs. coup of 1991 (a rainbow appeared on the Victory Altar in Bucheon confirming the miraculous intervention) (Han 2016:140-41), and having stopped North Korean aggression plans. [Image at right] The Victory Altar promotes several initiatives for what it calls the “re-correction” of Korean history, showing Koreans as descendants of the Israelite tribe of Dan (Han 2017). The International Academy of Neohumans Culture promotes a dialogue of the Victory Altar with other Korean new religions and the academic community. 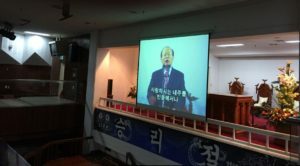 The anti-cult movement in Korea is largely organized by mainline Christian churches, which denounce neo-Christian group such as the Victory Altar as heretical. 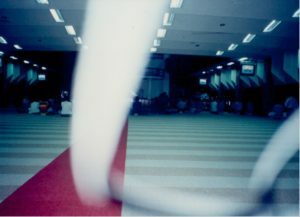 The fact that the Victory Altar identifies Jesus Christ as “the son of Satan” and a man of “disorderly private life” (Kwon 1992:98-101) made the confrontation between the movement and Christian counter-cultists particularly bitter, whatever the truth of the accusations against Cho that emerged during his trial. After Cho’s death, the interest of the anti-cultists for the Victory Altar has declined, but so has the number of members. The movement’s main challenge today is not anti-cult opposition but a declining popularity, and the difficulty of affirming the promise of physical immortality as early members age and die. The Victory Altar explains that achieving immortality, possible, is difficult, and requires as a pre-condition what Buddhism has traditionally presented as the complete extinction of ego and desire. Buddhism never maintained that this goal may be achieved by many or easily. The Victory Altar, however, keeps the hope alive by citing as evidence the Holy Dew and the fact that Cho’s “five covenants” have been accomplished. It firmly believes that, by faithfully keeping the Law of Liberty, some will be reborn in the Holy Spirit and achieve immortality. Image #2: The Victory Altar headquarters in Bucheon. Image #3: The Secret Chamber. Image #4: The Holy Dew appearing in the Victory Altar. Image #5: Cho “leading” the congregation at the Bucheon headquarters in 2017. 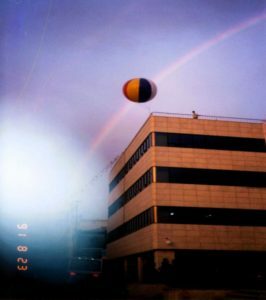 Image #6: The rainbow that appeared over the Bucheon headquarters in 1991, confirming that the Victor Christ had protected Gorbachev. Baigent, Michael, Richard Leigh, and Henry Lincoln. 1982. The Holy Blood and the Holy Grail. London: Jonathan Cape. Han, Gang-Hyen. 2017. “The Hidden History of the Lost Dan Tribe and the Secrets of New Jerusalem.” Journal of the International Academy of Neohumans Culture 5:37-73. Han, Gang-Hyen. 2016. “The Essence of the Maitreya Buddha & The Hidden Mandarava in Pure Land: Focus on the Perspective of Prophecies in the Sacred Sutra.” Journal of International Academy of Neohumans Culture 4:29-202. Headquarters of SeungNiJeDan. 2017. The SeungNiJeDan: The Immortal Science. A New Theo-Science Beyond Religion. Bucheon: Headquarters of SeungNiJeDan, Department of International Affairs & Academy. Kwon, Hee-Soon. 1992. The Science of Immortality. Seoul: Hae-In Publishing. Kim, Young-Suk. 2013. The Hidden Secret of the Bible. Bucheon: GeumSeong. Lee, Dong-Chul. 2000. Bright Star. Seoul: Hae-In Publishing. 근본적으로 다른 시각에서의 이해가 필요하다는 것입니다. 주님말씀을 좀 더 자세하게 진솔하게 기재하는 것이 좋지 않았을까하는 생각입니다. 있는 그대로 들은 그대로 전달할 수 있었으면 하는 바램이었습니다.